Or even try to school ya          Oh, no! So go to hell if what you're thinking is not right! a-yin the darkness there must come out to light. Don't let them change ya, oh! Or even rearrange ya! Oh, no! Only the fittest of the fittest shall survive, stay alive! Eh! Say something! Say something! Reggae, reggae! Say something! -Could you be, could you be loved? 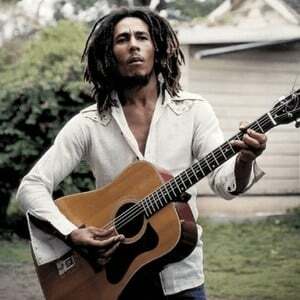 Bob Marley (February 6, 1945 – May 11, 1981), born Nesta Robert Marley which was later to be changed by passport officials to Robert Nesta Marley, was a Jamaican singer-songwriter, guitarist, and activist. He was the most widely known writer and performer of Reggae, and more specifically Roots Reggae. He is famous for popularising the genre outside of Jamaica and the Caribbean. Much of his music dealt with the struggles of the spiritually wealthy rasta and/or spiritually powerful Jah Rastafari.